Upgrade your lifestyle and enjoy passive income from the lease of the high quality factory building you own in addition to your home. Not only can you enjoy income without effort here, but there is also the opportunity to earn extra income from the harvest of walnuts which happens over a six week period annually. The orchard is one of the original commercial orchards in Canterbury with 202 trees planted from 1989 to 1993.The Bio Gro Certified Organic orchard is irrigated and monitored by a computer controlled system. Income is generated to an economic level by the lease of the well-appointed multi use factory set up for food production and leased by Walnuts NZ Co-Operative Ltd. The factory lease income is $34,000 per annum. 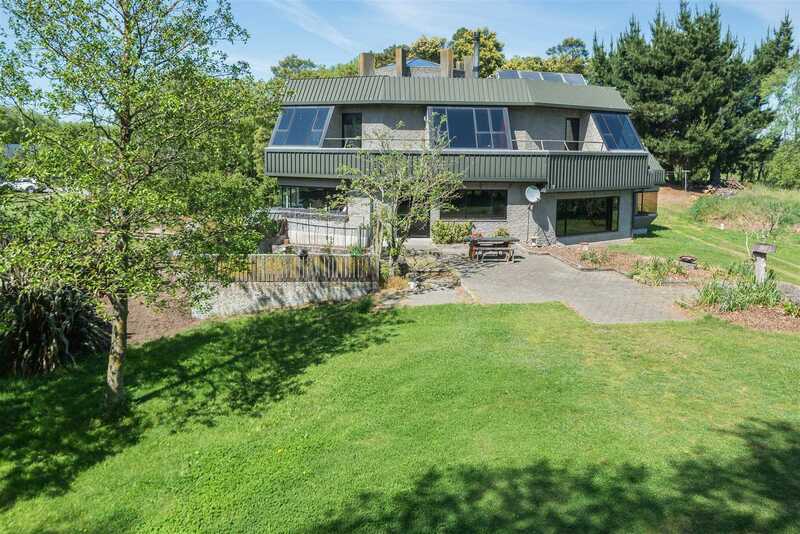 Approximately 274m2, the home has unique features including a layout designed to follow the sun, use of timber to create warmth, and large windows to give views to the mountains and outdoor garden. The interior is warm in winter with wood burner providing a focal point, but it is equally ambient on the hottest days. Perfect for a family but also cosy if you are a couple. This 4ha property includes a four bay concrete floored large shed, one bay enclosed. After 30 years of carefully tending their much loved 4ha property our vendors have decided to retire and downsize. This is an ideal opportunity to move into a lifestyle property while earning a passive income from the factory and extra income from the walnuts!